In light of the federal government’s recent changes to mortgage insurance and qualifications, it is now more important than ever for Canadian homebuyers to use the services of a mortgage broker and benefit from the value and advice that they provide. There have been numerous media reports of late presenting differing perspectives on the effects of the changes and what they might mean for the economy. Many Canadians are likely concerned about the potential impacts to their own existing mortgage, or for those entering the property market, what impact the changes will have for their specific circumstances. The truth of the matter is that there are a significant number of factors that may impact each individual scenario. In general, the recent federal announcements are expected to reduce the potential purchase price of a home some Canadians can afford, but this is not the case for all. A mortgage broker, as an independent professional adviser, can explain the impacts of the recent changes, in plain language, relative to your specific circumstances. Purchasing a home is likely the largest and most significant financial decision most Canadians will make in their lifetime. So, if you’re looking to purchase a home – don’t do it alone – work with a professional mortgage broker who will guide you through the entire process. 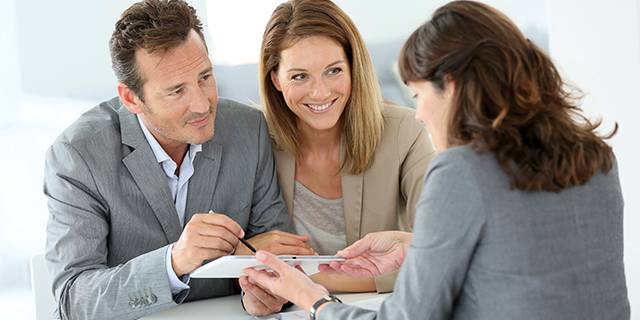 The services offered by mortgage brokers are truly invaluable. These individuals are educated and knowledgeable not only about the various mortgage products and rates, but also about the issues and trends that may affect you and your mortgage over the longer term, such as these recent changes made by the federal government. And it’s a service that is generally free to you as a homeowner. In the vast majority of cases, mortgage brokers are paid by the lender once they successfully place your mortgage. So it’s in their best interest to ensure you receive the best possible mortgage product and rate, tailored to your unique requirements. It’s never too early to connect with a mortgage broker, especially if you are a first-time homebuyer. If you’re thinking about buying a home, you want to know the mortgage amount for which you qualify before you head out on your search. That way, you can look at options within your budget and avoid the disappointment of becoming attached to a home that’s beyond your financial means. If you don’t understand something about the mortgage process, be sure to ask questions until you feel comfortable. And although rate is important, there are many other questions that are just as important when it pertains to your mortgage. And a mortgage broker’s job does not come to a close once your mortgage has been finalized. In addition to staying on top of updates and changes such as those recently announced by the government, mortgage brokers also have their finger on the pulse of real estate market updates or Bank of Canada announcements that may affect you as homeowner, depending on what type of mortgage you have. Your mortgage professional will help you stay on top of that activity to ensure you’re always equipped with the mortgage to best meet your requirements throughout the life of your mortgage. Make the right mortgage decisions and increase your home-buying confidence by working with a mortgage broker. Although buying a home is a sound investment idea, it is critical to understand what homeownership entails. Understanding each step of the home-buying process is key to ensuring you will make a wise decision that suits your emotional needs and your financial situation.